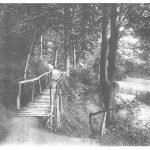 The Colwyn Bay Heritage Group was delighted to premiere this short film titled ‘The Remarkable Reverend William Hughes and the African Institute of Colwyn Bay’ during a Then and Now event. 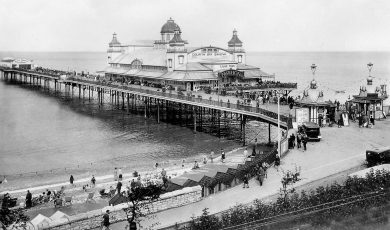 The film, funded by Colwyn Bay Town Council, was produced by Historian, Dr. Marian Gwyn, Crefft Media and directed by Tudur Evans. It features family members of Reverend Hughes and follows the ‘Congo House’ development from vision to the controversial end. 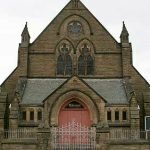 The Colwyn Bay Heritage Group was delighted to premiere this short film titled ‘The Remarkable Rev Hughes and the African Institute of Colwyn Bay’. 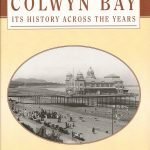 The film, funded by Colwyn Bay Town Council, was produced by Historian, Dr. Marian Gwyn, Crefft Media and directed by Tudur Evans. It features family members of Reverend Hughes and follows the ‘Congo House’ development from vision to the controversial end. 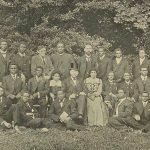 During the period 1890–1912 over one hundred students from the African Continent attended the Colwyn Bay institute for training in a wide range of academic subjects and practical skills. 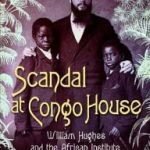 Dr Gwyn said “When Rev Hughes became a missionary in Congo, he saw that European influence was leading some communities there to lose their traditions. 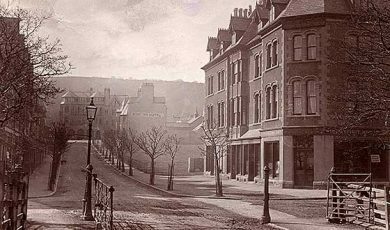 The remarkable insight Reverend Hughes had in combatting this was to bring African students to Colwyn Bay, where they could learn new skills to take back with them to their homelands and so preserve their own languages and cultures”. Students of the institute went on to have significant influence on the development of their home countries and some of their stories are featured in the film. Sadly a number of the students succumbed to illness, their graves are located along with Reverend Hughes’ in the Old Colwyn cemetery. The institute came to an end after a scandal which involved a relationship with a local woman and one of the African students. Public opinion quickly turned on the Reverend and his institute. The ‘Then and Now’ session is a quarterly event which encourages people to come together, reminisce and celebrate local history. It is organised jointly by The Colwyn Bay Heritage Group and Conwy Wellbeing Team and kindly hosted by The Station pub.